This costume includes pants, shirt with attached molded chestpiece, belt, cape, gloves, headpiece, and boot tops. This is an officially licensed The Dark Knight Rises costume. Batman is not just a Dark Knight for people as he inspires every kid to fight against evil with great will power. Lets get real Batman out of DC Comics now for fun party. Batman can hide his identity and frighten every dangerous criminal of Gotham city with his amazing Batsuit. So you have watched your favorite movie or TV serial multiple times but you got to dress up like your favorite character. Nothing can stop you from having wonderful time after wearing this costume. 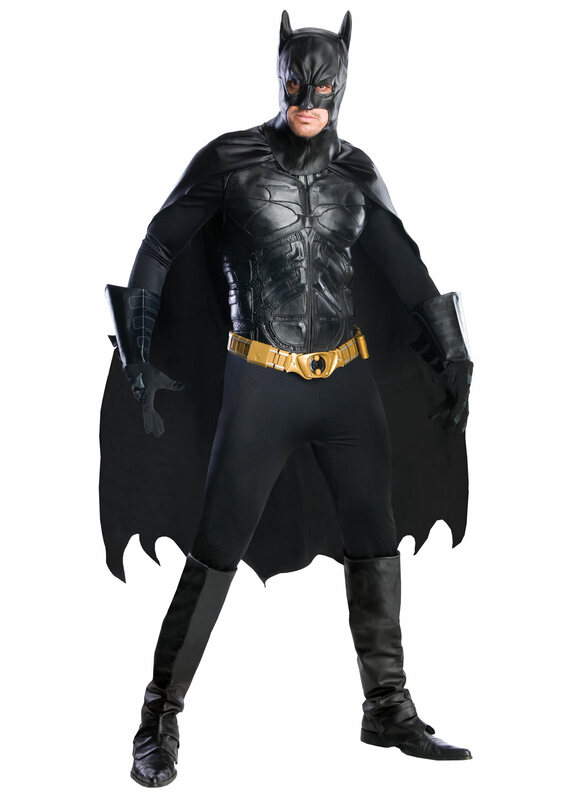 You deserve to look totally cool and different in The Dark Knight Rises Batman Grand Heritage Adult costume.